When you need shade or temporary protection from the elements, an umbrella doesn't always hold up. 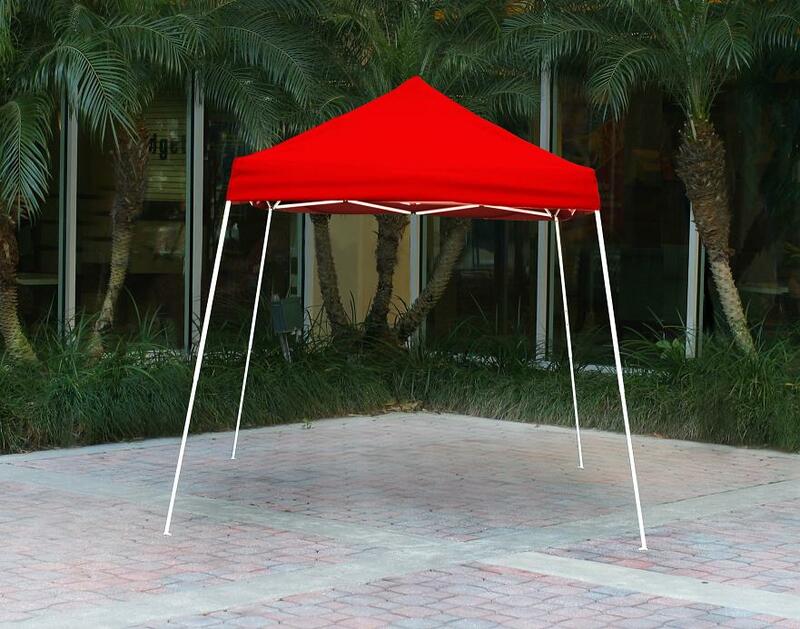 From trips at the beach to protecting your items at a flea market, better protection comes in the form of pop up canopies. These structures, usually square in shape, have a canopy attached to a fold out steel frame. A carrying bag accompanies this setup, allowing pop up canopies to be transported nearly anywhere. 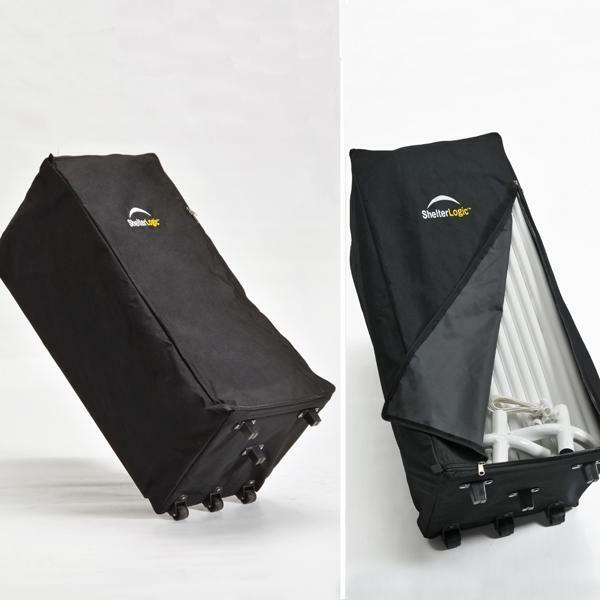 The structure can simply be taken out of the bag and folded out and, within minutes, you'll have a sturdy temporary shelter for protecting yourself and your belongings. All pop up canopies, no matter the shape, are made from a powder-coated steel frame, which typically comes in one piece. The legs for the frame come in straight and angled formats, but both types fold out similarly. The canopy, which is usually attached to the frame, is made from polyester and is treated to be waterproof and UV resistant. Additionally, these shelters can be modified for various outdoor conditions. Netting material can be attached to the sides to keep out insects, while polyester or polyethylene sides can enclose the canopy to keep out rain. Outdoor events are the most common places for pop up canopies. 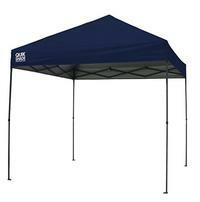 Outdoor parties at home, trade shows, and flea markets are all ideal occasions for such a shelter to be set up. In all cases, the ends need to be anchored to keep the canopy in place. 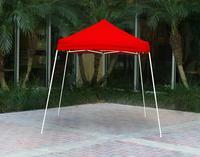 At a flea market, a pop up canopy will shade your table and items from the sun and protect them in case of rain. 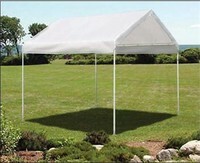 At home, however, multiple canopies can be arranged as shaded areas and protection for guests and food. 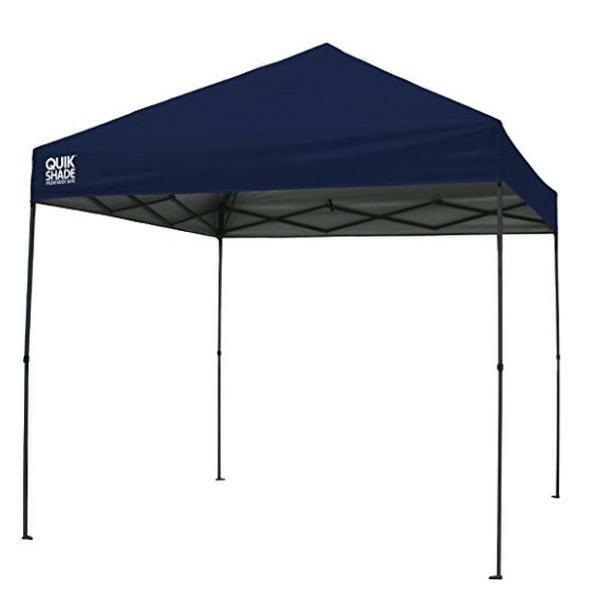 Pop up canopies are also ideal for the beach, especially if you're going with several people. Instead of setting up an umbrella for shade, set up a canopy on the sand to shade yourself and your belongings. Once you're done for the day, you can simply fold up the canopy and take it home. Temporary shelter is needed in various instances. And, many times, an umbrella just doesn't cut it. 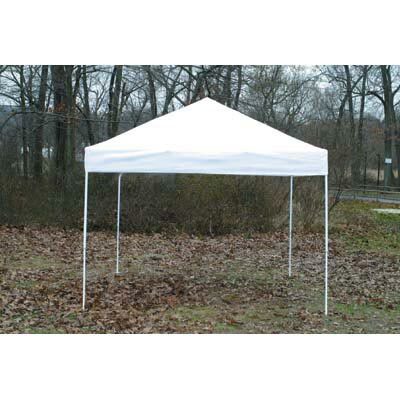 When you need a temporary shelter that stays put and stays in the ground, a pop-up canopy will meet all of your needs. Although also called a "party tent" or "instant canopy," a pop-up canopy folds out into a frame and shelters an area. Additionally, the structures have angled and straight options for legs. 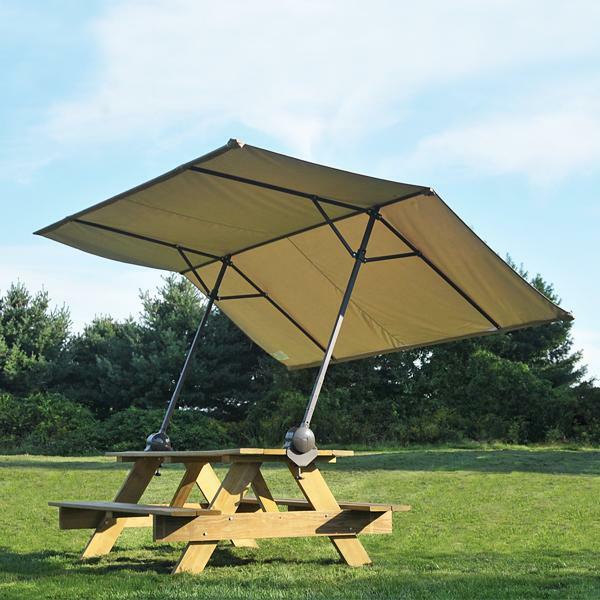 Such a structure is portable enough to be brought to the beach, trade shows, and any other instances in which you'll need shade. For more protection, these structures can be modified with netting to block out insects or walls to keep out the rain. A pop-up canopy is designed for temporary outdoor use and should be taken indoors once you're finished. 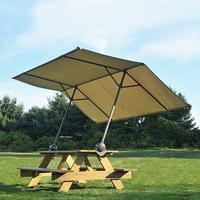 The structure is made from a powder-coated steel frame and a polyester canopy. The canopy is treated to be waterproof and UV resistant and, in many instances, is attached to the metal frame. The structure, then, folds out with the canopy attached. 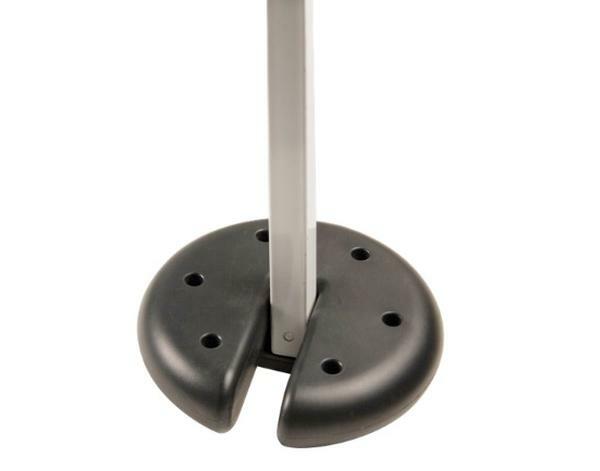 Anchors are needed, additionally, to keep the shelter in place outdoors. A popular place for taking a pop-up canopy is the beach. 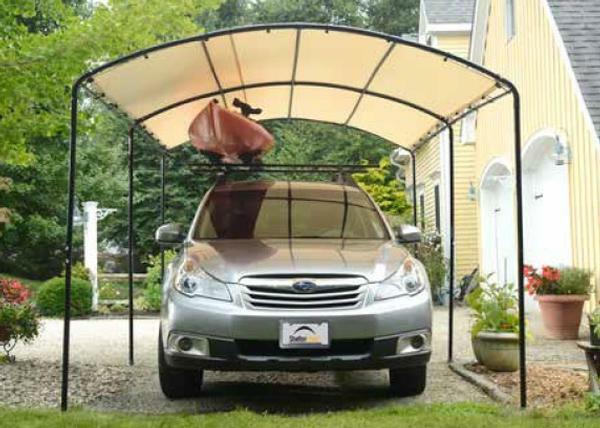 Instead of bringing an umbrella, you can take a canopy in your car and unfold it on the sand. 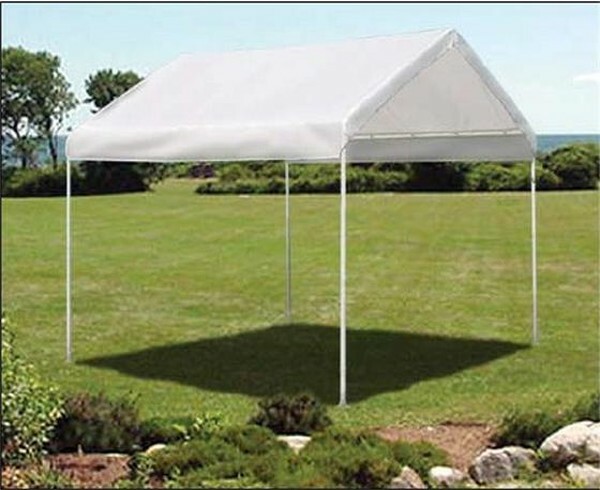 The shelter will provide you with more shade and, if you have any guests, will shade others, too. Once the day is over, you can pack up the pop-up canopy and take it home. Aside from the beach, flea markets and trade shows are other popular places where canopies are needed. Rain may hit any minute when you're outdoors, and, to protect your investments, a pop-up canopy can be erected in a number of minutes. Additionally, the structure will shade you from the sun until the event is over.